Updated Thursday October 24, 2013 by Alpharetta Youth Softball Association (AYSA). 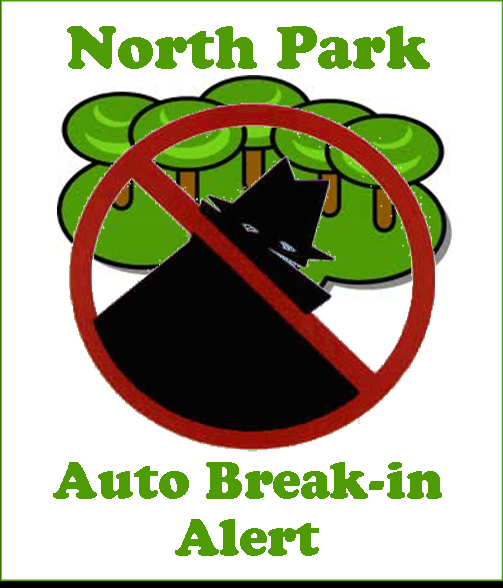 The Alpharetta Police Depart Intelligence Unit has identified an increase in reported motor vehicle break-ins (entering autos) at area parks and recreational areas in the surrounding cities as well as here in Alpharetta. Our Department has increased patrols in these areas but we are requesting assistance from the public to help reduce these crimes. The thieves generally work in groups of two or more and are primarily targeting vehicles which contain purses, but they will hit vehicles with valuable items in plain view. One method of operation is that the thieves will often back their vehicle into a parking lot and watch as the victims hide their purses or valuables under seats or in the trunks. Once the victim leaves the thieves strike and in less than 30 seconds they can break the window and steal the valuables. A second method of operation is for one thief to walk through the parking lots looking into vehicles for valuables (iPhones, laptops, wallets, backpacks, etc.). Once they spot a target vehicle they will signal the driver of their getaway car who will pull up as the thief breaks into the victim’s car. We are asking for your help in securing your valuables in your vehicles before you arrive at the parks – if you can. Also, be alert to your surroundings and if you see anything similar to the above described behavior please contact 911 immediately with the suspect’s description, vehicle description, tag number and last known direction of travel – if it is possible to safely do so. Although this crime has been reported in other major metropolitan areas we have not yet received any reports of this type of crime locally. However, there is always the potential of area criminals copying this type of activity. We recommend that the passenger window be rolled up and the door locked or purses be kept away from the passenger seat area when refueling to prevent becoming the victim of a “slider”.